The Black Bear is the only species of bear found on Vancouver Island in BC, Canada. Black Bear, Ursus americanus, Vancouver Island, BC, Canada. 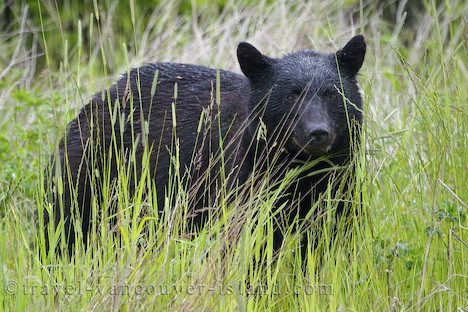 Photo of a drenched Black Bear in some long grass on Vancouver Island, British Columbia, Canada.